Working alone in safety. 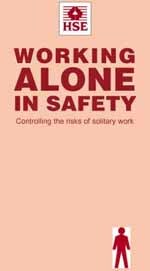 A HSE booklet that highlights the issues surrounding solitary work and controlling the risks. Cleck here to download your copy.